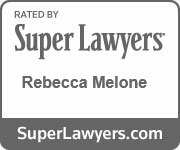 Estate Tax Planning | Melone Law, P.C. In property planning and management, estate tax may be an additional financial burden imposed on a property transfer. Most Virginia residents, or those who have a smaller amount of assets, do not need to file an estate tax return. As of 2017, a filing is only necessary for estates with combined gross assets and prior taxable gifts exceeding $5,490,000. Should the estate exceed that amount, all property and assets will be accounted for and given a fair market value, which totals the gross estate. After deductions, which may include debt, estate expenses, and property that passes to a spouse or charity, you will arrive at the taxable estate amount. Though probate will likely be necessary, there are several steps that you may take to minimize your estate tax while you are still living. At Melone Law, we are available to advise you on the various options you should consider as you plan for the future. To create a plan that works best for you and your family, contact Melone Law and let us customize a solution that fits your needs.